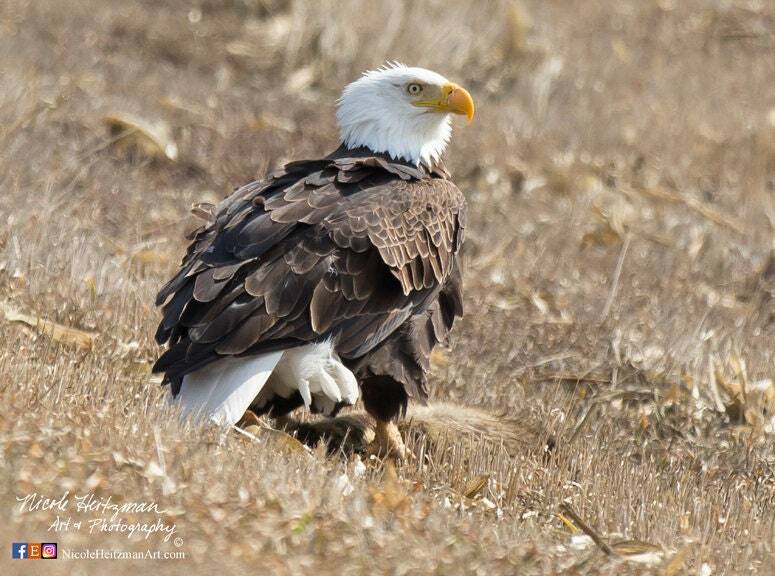 Photographer, Nicole Heitzman, captured this eagle photo during the Spring season in South Dakota. This beautiful Bald Eagle was working on a free meal that it discovered. These guys don't normally sit for photos, but this eagle must have been pretty hungry to let Nicole photograph it. The image is printed on luster paper which offers vibrant color and high quality inks. The print is 12" wide by 8" tall.